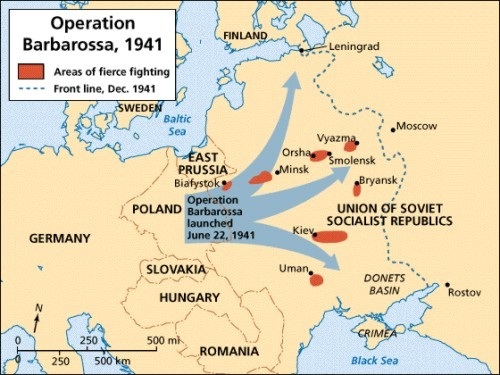 When the Germans attacked Russia, Stalin was caught off guard because he ignored the warnings. However, the Germans attack was behind schedule which set them back into the winter. Russia retreated to Moscow after burning the Germans crops so that they could no eat.